Sun., April 9, 2017, 11:30 a.m.
Mike Trout added to his legendary stats against the Seattle Mariners on Saturday clubbing a seventh-inning, two-run homer to lift the Los Angeles Angels over the M’s 5-4. Felix Hernandez pitched pretty well and showed no ill effect from the tight groin that got him lifted on opening day. The Mariners send Hisashi Iwakuma to the hill in the third of a three-game set with the Halos before the team ships back to Seattle for some home cooking and to sleep in their own beds for the first time in over a week. Game 7: Seattle Mariners (1-5) at Los Angeles Angels (4-2), 12:37 p.m. Starters: RHP Hisashi Iwakuma (0-1. 3.00 ERA) vs. RHP Matt Shoemaker (0-0, 3.60 ERA). Iwakuma is 9-5 with a 2.83 ERA in 19 career games against the Angels, including 3-3 with a 3.44 ERA in nine games at Angel Stadium. Shoemaker is 4-4 with a 3.66 ERA in 12 career games against the Mariners. 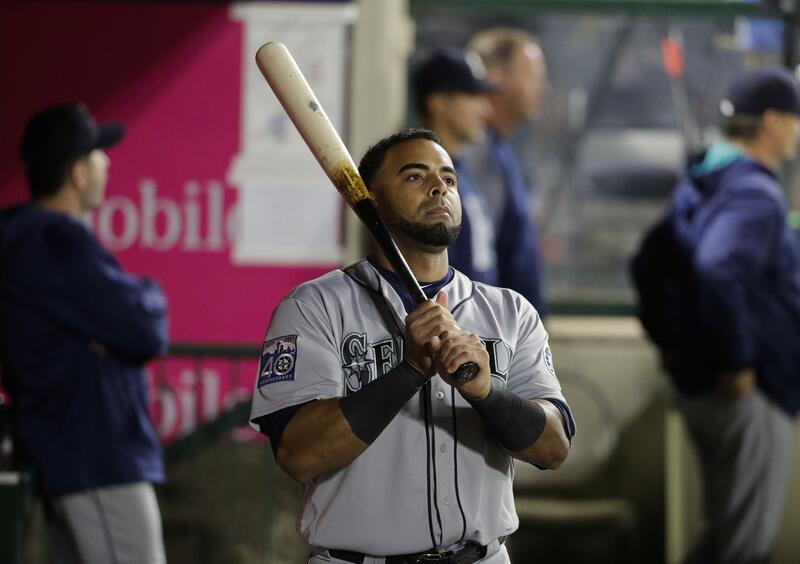 Leonys Martin is 8 for 19 (.421) in his career against Shoemaker, while Nelson Cruz is 7 for 21 with two homers, and Kyle Seager is 7 for 24 with two homers. Mike Zunino has just one hit in 16 at-bats. Iwakuma has been particularly effective against Mike Trout (9 for 48) and Albert Pujols (8 for 54), but Yunel Escobar is 8 for 20. Published: April 9, 2017, 11:30 a.m.